Every town in the Philippine archipelago boasts an amusing and grand celebration of festival that entices people from different regions and even countries; hence, draw them to join the fun and experience the local's hospitality. Every one is guaranteed with unique experience marked by delectable local cuisine, street dances and parties, traditional games turned into contests, polychromatic streamers and banderoles, giant statues and figures, archs, warm and welcoming people and more. Some of these festivals have been known and established and among which are Sinulog Festival in Cebu, Ati-Atihan Festival in Aklan, Pahiyas Festival in Quezon Province, Panagbenga Festival in Baguio, Moriones Festival in Marinduque, Maskara Festival in Bacolod and others. These have been celebrated for ages which humbly started with small feasts for their bountiful harvest and for commemorating their religious acts or historical and cultural underpinnings. These festivals are, I must say, one of its kind since none of them could be compared with another. They are all interesting since people can get to know more about the town's rich culture and beginnings through these. Some of these have been known while some are yet to be discovered. 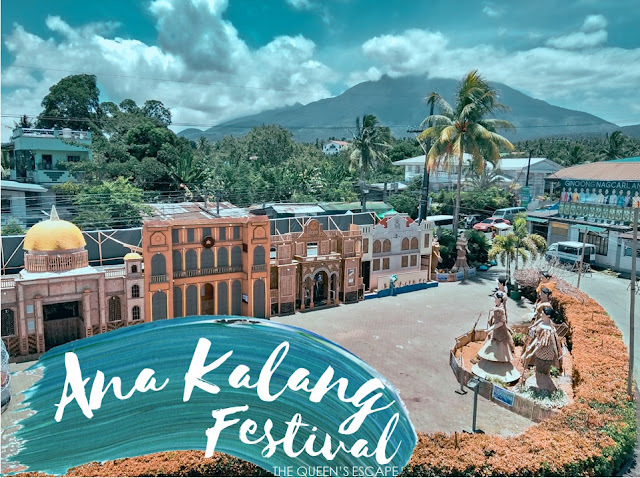 Among the list of the must-go festivals and yet to be discovered in the Philippines is that of Nagcarlan's - the Ana Kalang Festival. Nagcarlan is a municipality of Laguna, a province under Region IV-A (CALABARZON) in Southern Luzon. 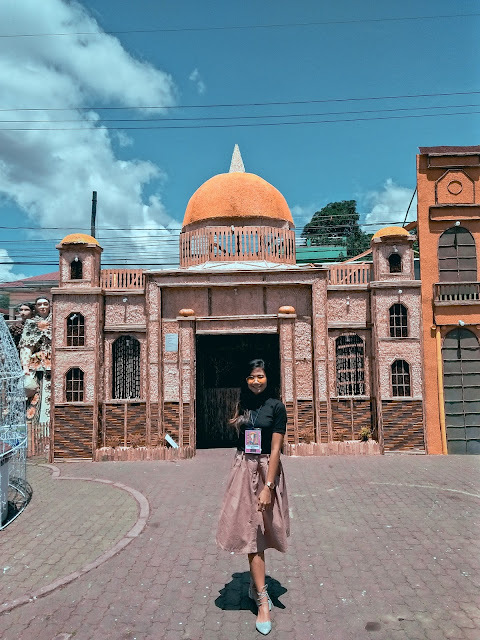 It is seated at the southern part of the province bound by the municipalities of Calauan, Rizal, San Pablo, Dolores and Liliw and ensconced in the terrains of Mt. Banahaw and Mt. Cristobal. 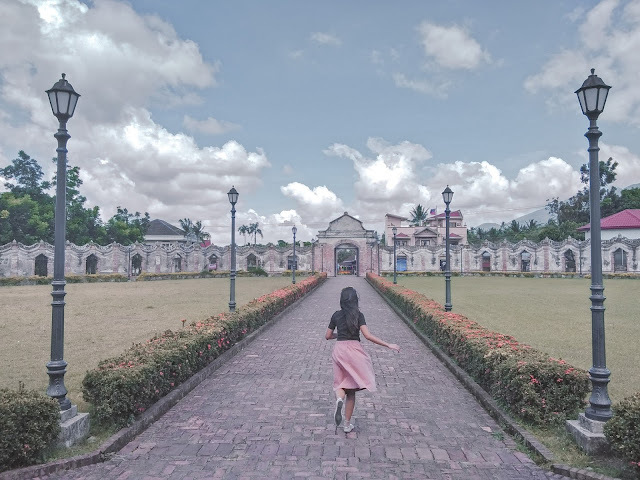 Originally, the town has been popular for its Underground Cemetery which have been frequently visited as a side trip of the travelers going to the nearby province of Quezon. It is a three to four hour drive from Manila via Skyway and South Luzon Expressway. 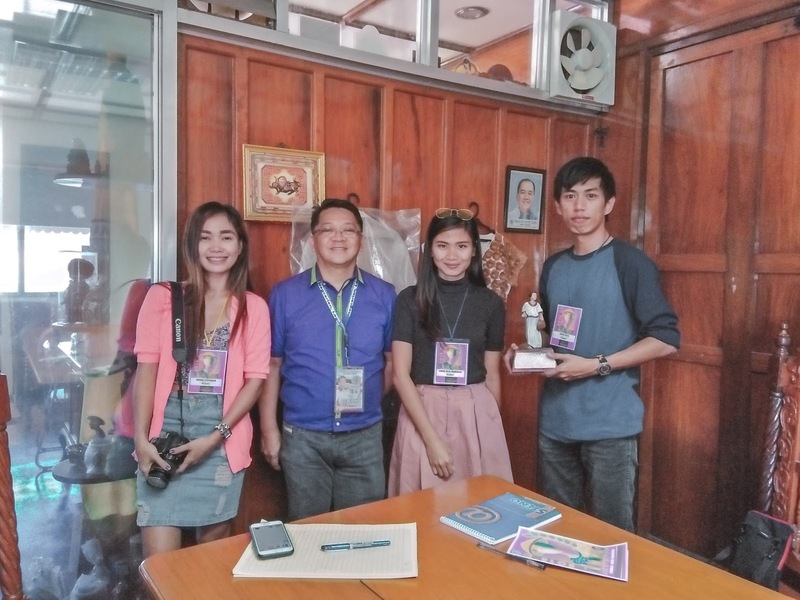 With great efforts, the Tourism Office, in behalf of the Municipality of Nagcarlan, is in the course of studying and tracing the historical foundation of the town. Previously, it was said to be founded circa 1583 when it was declared as a Spanish Pueblo. However, further probing has altered this theory. 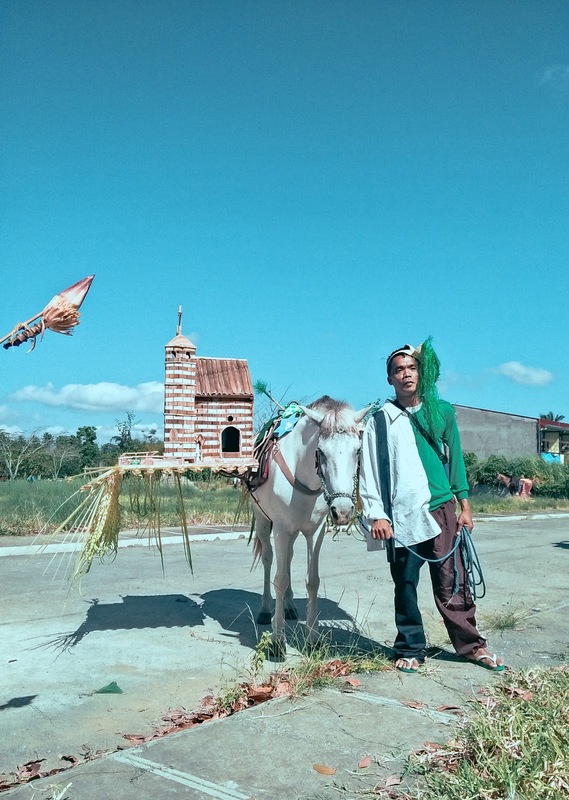 Presently, it has been postulated that it was founded on the 24th of August, 1511 when Legazpi's troop traveled from Rizal province to Paracale, Camarines Norte around the beginning of the third quarter of the year in search for native workers and it was believed that a community has been established by then. 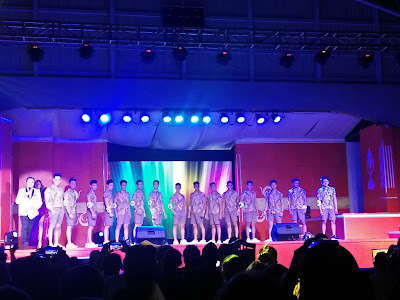 The date was identified since they calculated and estimated the travel dates and time of the expedition from Rizal to Laguna. 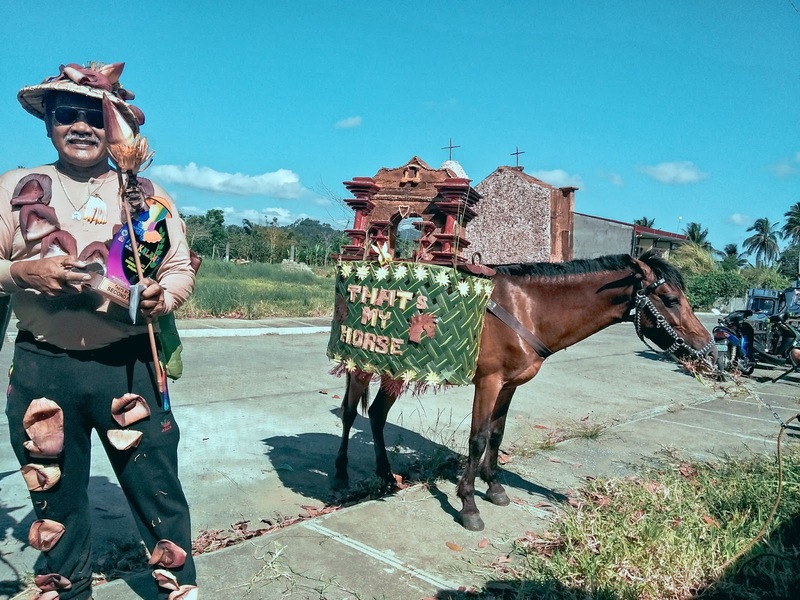 Legends say that the name of the town came from the sound produced by the rustling of bamboos when the mythical old woman named Ana Kalang comes around. 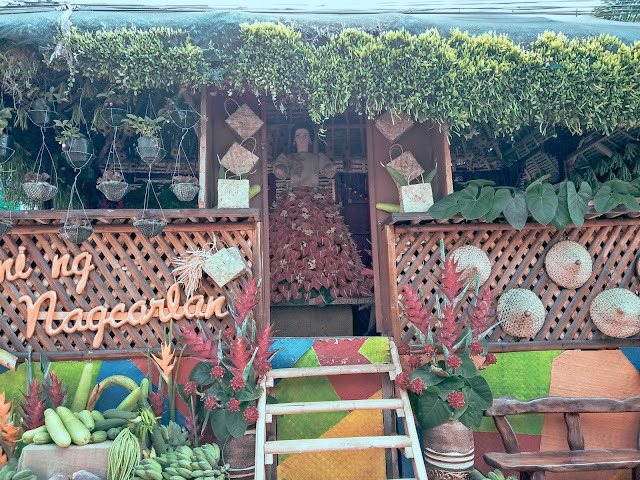 The rustling is described as "nagkakalang-kalang" which was then, mispronounced by the Spaniards as 'Nagcarlan'. 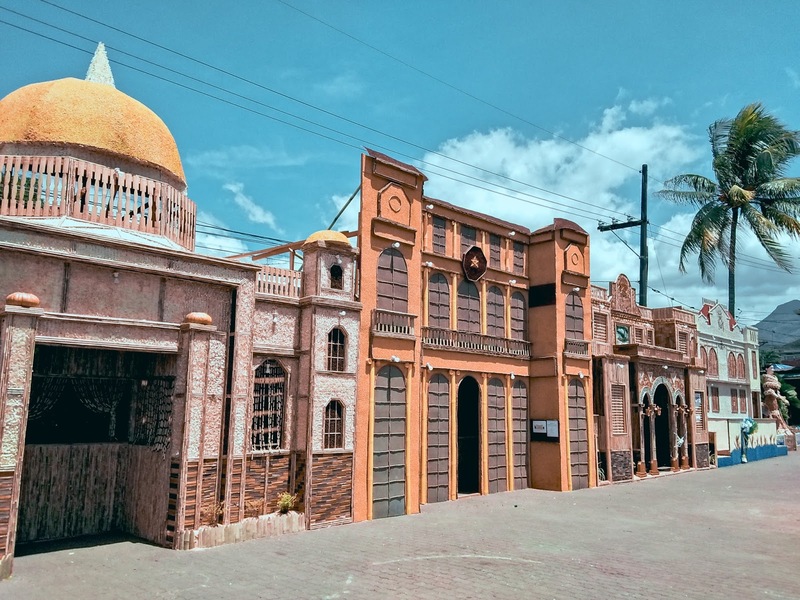 Some stories tell that the town has been founded and named in 1665 by Spanish Friar Cristobal Torres after Ana Kalangfor her nobleness and zeal to serve its people. Later on, it was called as Nagcarlan. Ana Kalang is a mythical wealthy woman who existed even before the Spaniards came and was known to carry around a golden cane and hat (salakot) living in a concrete house. It was said that she was previously misinterpreted to be carrying an ordinary cane for support due to their association of the lady with old age but it was rather identified later to be a cane used as a scepter. She was a woman of piety and generosity for she is known to help and care for the people of the town, also a teacher of the community. It was told that mass would not start without her seated at the front row. Her good deeds have made her a big part of Nagcarlan's history which made the people name the town after her. Circa 1987, two students of the Asian Institute of Management conducted a project on Community Organization in Nagcarlan which aimed at bringing about economic development to the locale. Since lanzones is largely produced in the town, Lanzones Festival had become the flagship project. The group of participants contributing to it was called as 'Nagcarlan Community Development Council'. Its members were highly engaged to contribute to the success of the project. 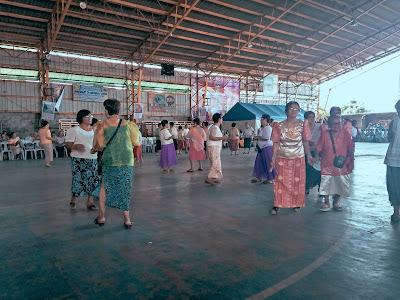 Since then, the people of Nagcarlan annually celebrates Lanzones Festival. However, after two prosperous years of the fruit's abundance, Lanzones trees have started bearing less to nothing due to climate change. The flowering and fruiting season changed and became dependent with the weather. They had a notion then that they could not continue celebrating the said festival without the fruit bearing in that season. 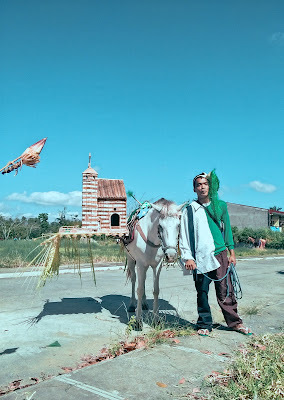 With that, the once Lanzones Festival was turned into a cultural one called Ana Kalang Festival. The former festival was annually celebrated in October, when Lanzones are in full bloom. 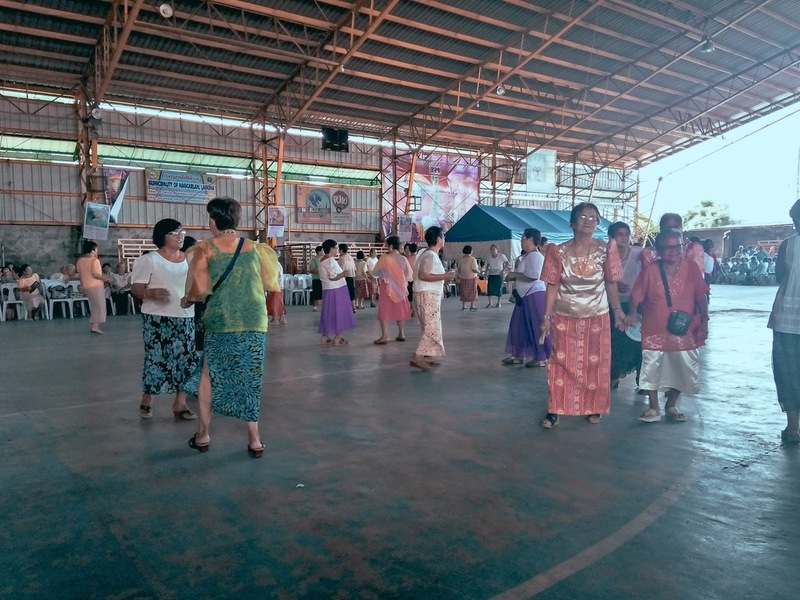 The same dates were followed for the Ana Kalang Festival. However, the inclement weather which is quite frequent during this time of the year dies down the excitement and festive spirit of the people. Consequently, the Municipality has made a crucial decision of moving the festival in summer. Ana Kalang Festival then has been enjoyed by the town's folks and the people from the neighboring communities since then on a fine weather. 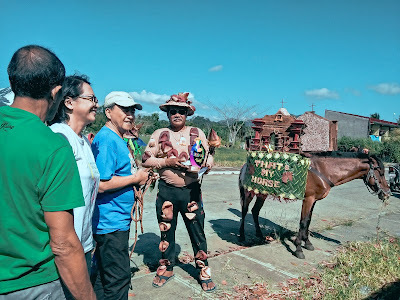 As aforementioned, Ana Kalang Festival is considered as a cultural type showcasing traditional games and the means of living of the people of Nagcarlan. It's a five-day celebration where contests, exhibits and parties are held simultaneously or one after the other; hence, making the whole town busy. 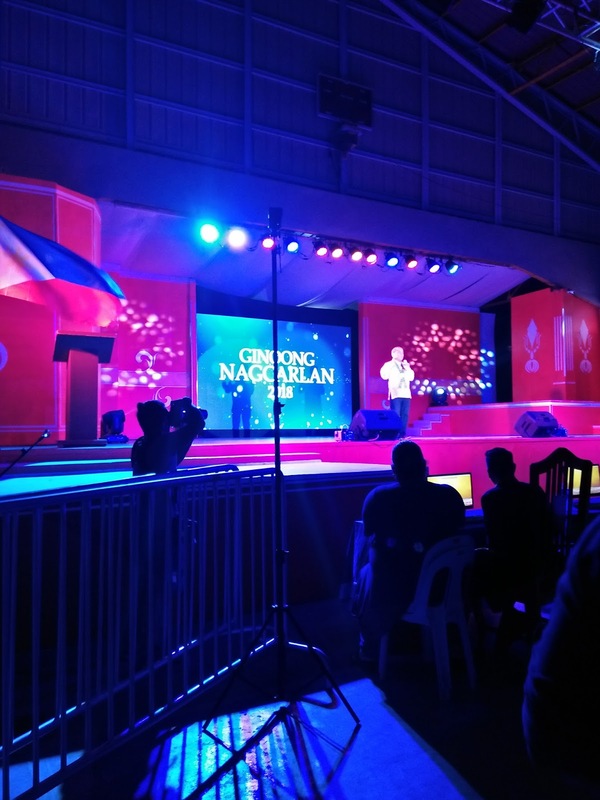 The 52 barangays of Nagcarlan actively participate in these competitions and events. 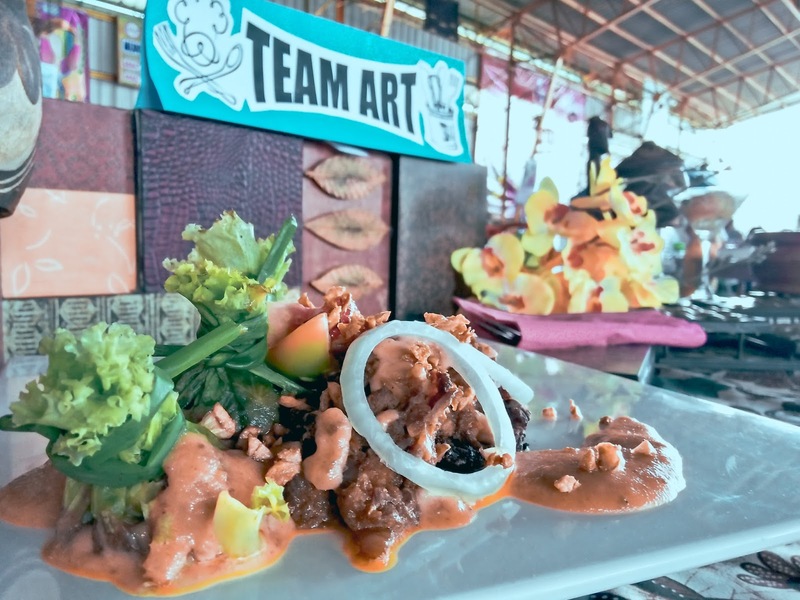 The exhibits include Arko-Tekto, Kalang Kalang, Aninag, Bihis Kalang-Kalang and Pintang Kalang which usually start on Day 1 with an on-going expo until the last day. 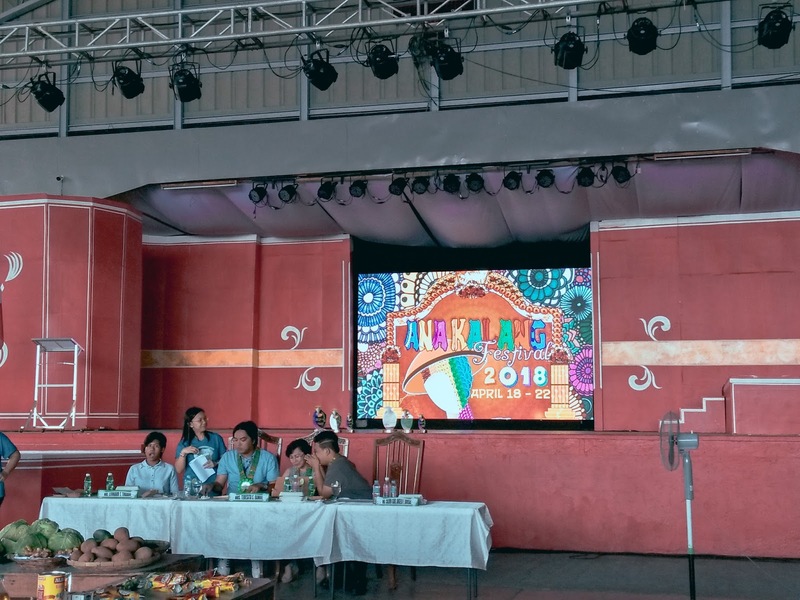 Ana Kalang Festival 2018 gave its participants and audience a much more fun-filled events and activities that people have been looking forward to. 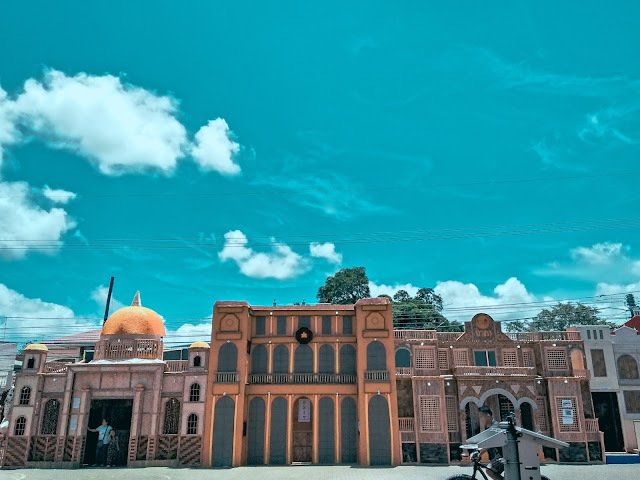 The committees have prepared something new and big for everyone without abandoning the traditional culture of the town and the country. 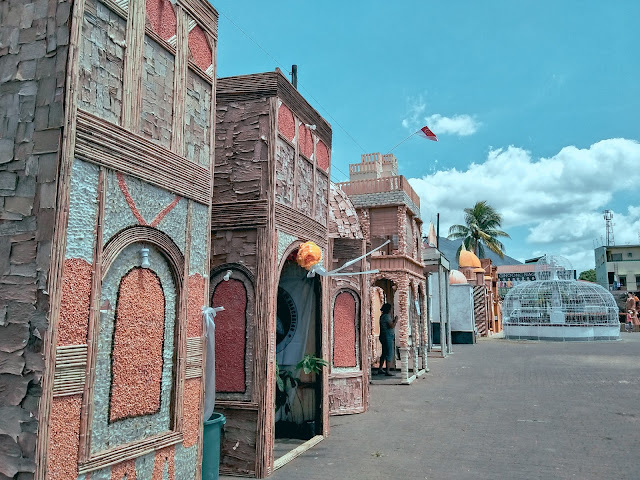 The Arko-Tekto is one of the major exhibits during the festival which showcases different archs painstakingly crafted by the most creative hands and minds in each participating barangay out of recycled and indigeous materials. The theme for the archs vary annually. For the year 2018, the archs were designed after the presidential palaces of the South East Asian countries. 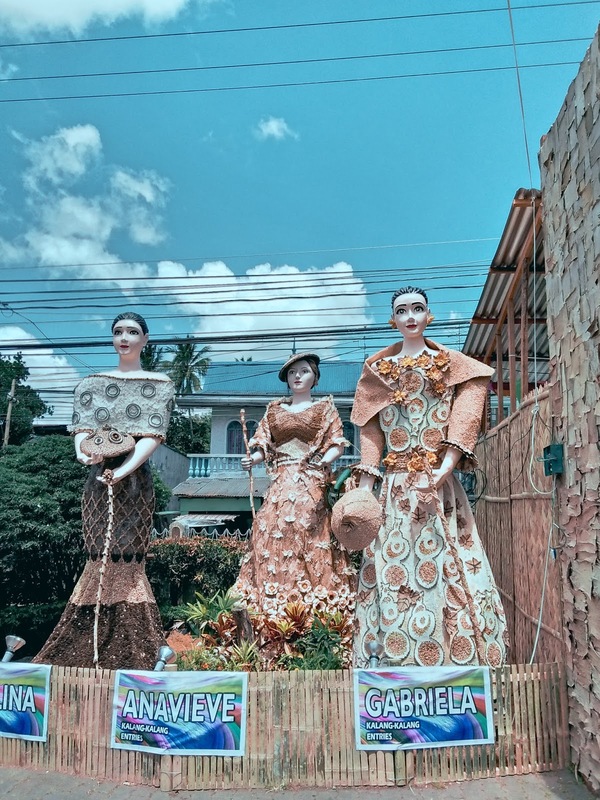 These are arrayed in front of the municipal hall for everyone to see since it is the center of all of the festival's activities. In previous years, these were just simple and ordinary archs made of bamboo. As time goes by, people have become more creative and competitive thus improve these exhibits into something more like booths. 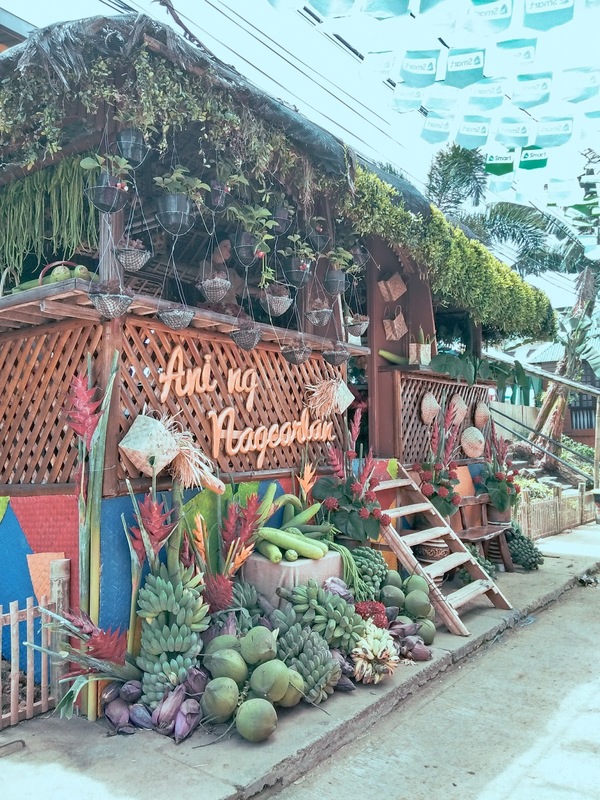 Apart from the arch itself, they also offer the visitors products such as home made candies, pastries and other local products that they have prepared. 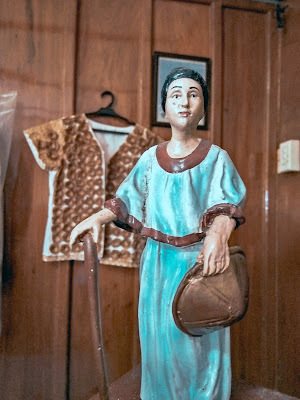 In each corner of the municipal hall's patio are the enormous dolls beautifully and elegantly dressed. 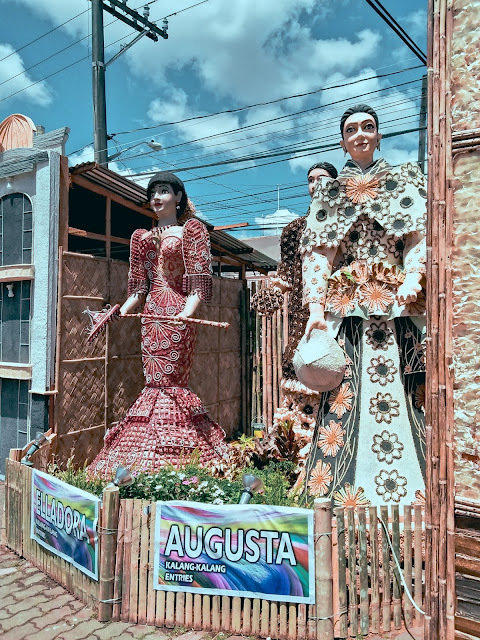 The concept of Kalang Kalang originated from scare crows but the organizers have made a twist by making these 10-feet figures a symbol of bountiful harvest. Its head, upper torso and arms are made of paper mache. 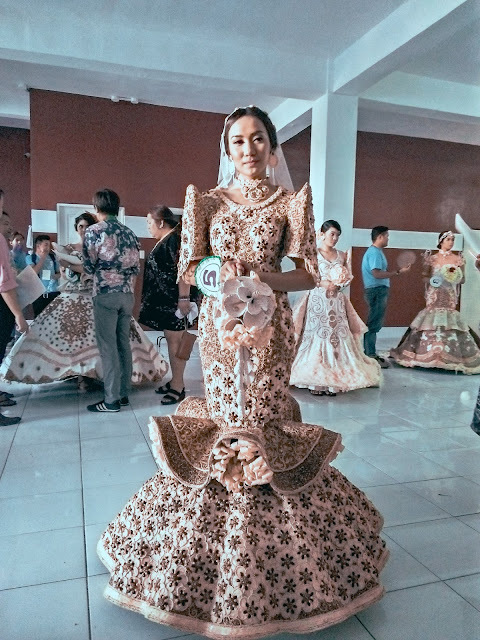 In the previous years, Kalang Kalangs dress should be made of fruits and vegetables. However, the materials get rotten and could not stand the week-long exhibit. The materials (i.e. indigenous materials) then were patterned to those of their respective entry for arko tekto. These figures should be holding fruits or vegetables which symbolize a bountiful harvest and fertilized lands of Nagcarlan. These Kalang-Kalangs are given with Filipinas' old names to have these tattooed not only on the younger generation's minds but on everyone's. 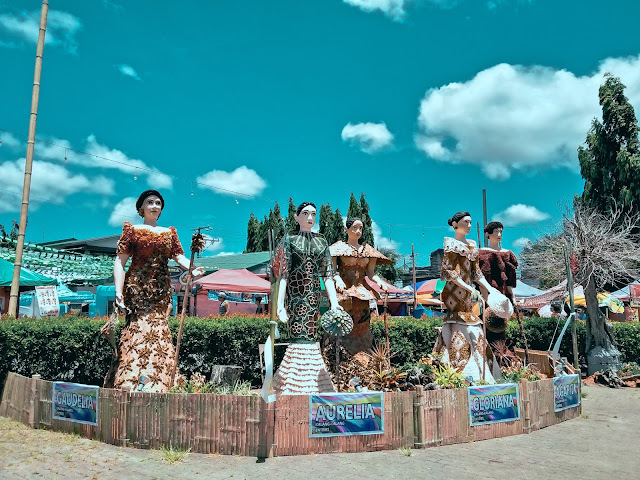 Another exhibit that has been the talk of the town is the Bihis Ana Kalang where young maidens representing their respective barangays are poshed and dressed up as Ana Kalang. The gowns are a fusion of traditional and modern style and fashion but are still made up of indigenous materials. In this year's celebration, the contestants walked on stage set up at the aisle of the Underground Cemetery. for the fashion show Just like the other exhibits, the participating barangays take this seriously since all of the entries are done competitively. Whereas, various contests are simultaneously held with these including Kusina ni Ana Kalang (Cooking Contest), Search for Ginoong and Binibining Nagcarlan, That's My Horse (Horse Dress-Up Contest), Bihis Ana Kalang Nagcarlan Tourism Video Contest, Juego de Anillo and Carrera De Caballos (Traditional Filipino Games and Horseback riding race) and Ana Kalang's Got Talent. 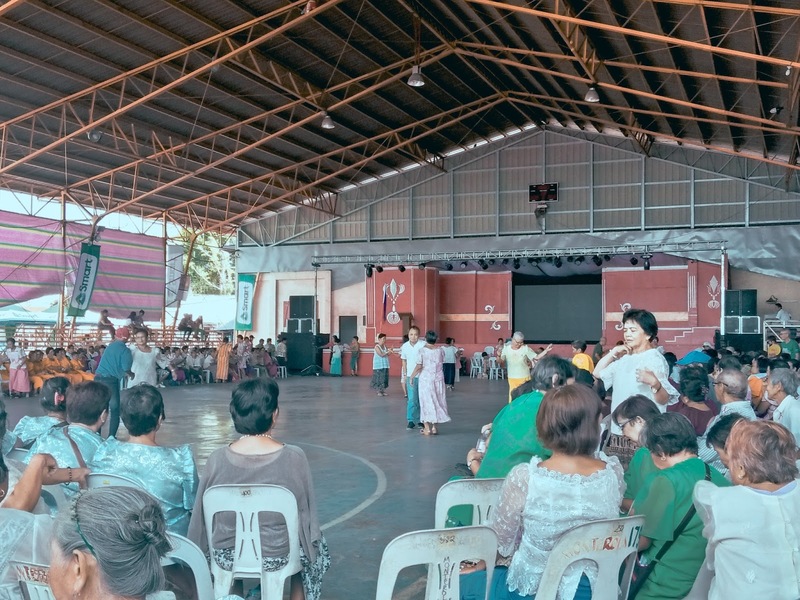 Apart from exhibits and contests, they also hold events in appreciation of the various members of the community such as the community leaders, teachers, senior citizens and the most outstanding Nagcarlanians and even animals such as dogs and horses. Hence, thee whole festival makes the community members from all ages and different walks of life involved. The Municipality of Nagcarlan is inviting everyone on their next Ana Kalang Festival. For more updates, you may want to check their official Facebook page, Ana Kalang Fesival for more updates, announcements, photos and videos about the Festival itself. (From left to right) Ms. Erica Poyauan of The Girl with a Muji Hat, Mr. Celerino Umali the Tourism Officer of the Municipality of Nagcarlan and Kuya Mervin of the Jerny - Travels and Inspiration. 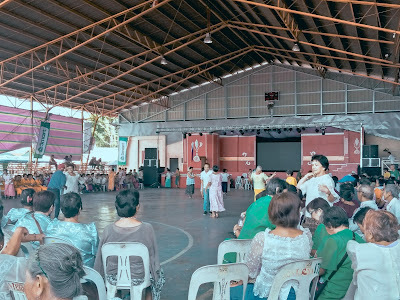 Special thanks to the Municipality of Nagcarlan and its Department of Tourism for accommodating us and for sharing us these information. Kudos to their recently concluded Ana Kalang Festival 2018!